It's curious what pops up on a popular internet auction site, this image was found as a negative late last year and scanned by one of our volunteers. 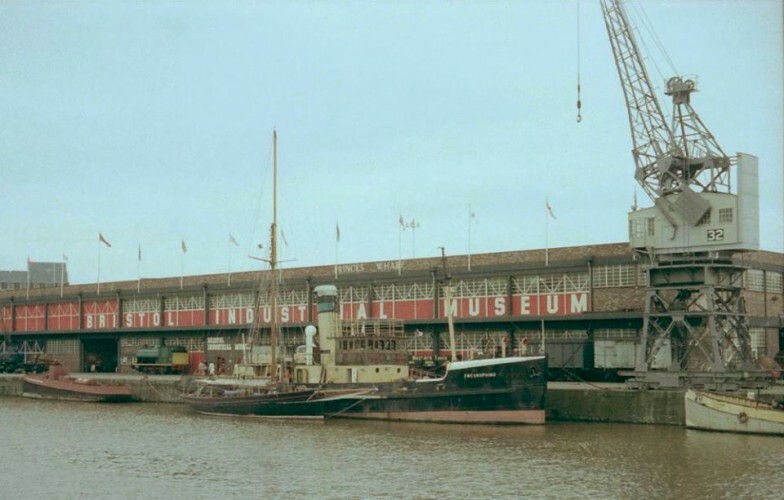 The photo shows Freshspring outside the Bristol Industrial Museum (now M Shed) We think it was taken between 1981 and 1987 as aft of Freshspring is the steam tug Mayflower during restoration. Please let us know if you can identify anything else in the photo or help pin down the date it was taken.